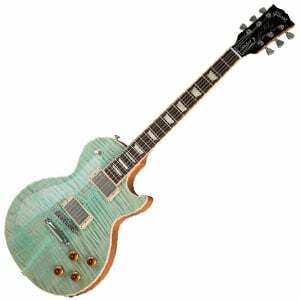 Top Rated Expensive Electric Guitars That Money Can Buy! With so many new releases in the high-end market, we decided to make loads of changes to reflect this. We said goodbye to a few older models such as the PRS S2 Custom 24 and Steve Vai’s Signature “Woody”, and inserted a selection of premium models worthy of your attention in 2019. 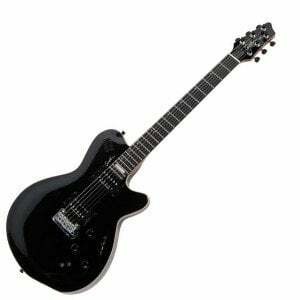 These included two signature guitars in the Under $1,500 section – the EVH Striped Series 5150 and the Fender Kurt Cobain Jaguar, as well as the cool retro Guild Starfire V. As we moved up the price ranges, we saw the arrival of the new Ibanez RG5121 and the ESP E-II M-I in the Under $2,000 section, then the exceptionally versatile Gibson Les Paul Standard 2019 and Fender’s Rory Gallagher Signature Stratocaster in the true high-end market. Looking for the best of the best? You’ve found them! The guitars on this page are the high-end, the premium, the elite. 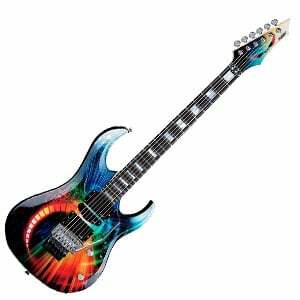 You get the idea – they are pretty much the best electric guitars you can buy. We’ve sifted the market and selected from a wide range of prices and styles to give you some inspiration ahead of your next purchase. Whether you are stretching into the $1000+ market for the first time or buying your tenth $5000 guitar (and if that’s the case, can we borrow some cash? ), you’re guaranteed to find something on this chart that will appeal. A high-end performer, perfect for high-speed metal! Fender’s new American Professional Series improves the iconic Strat. 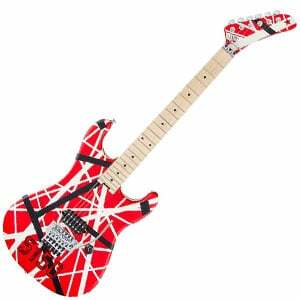 An awesome Frankenstrat that plays like butter. A legendary guitar that helped shape the history of grunge. You don’t have to be a diehard fan of Michael Angelo Batio to appreciate his awesome MAB1 signature axe from Dean – it’s stunning in both style and sound. Featuring a striking custom Speed of Light graphic, the well-beveled ‘Batio’ body is made of solid alder and features a sensational bolt-on maple neck with an ultra slim profile and 24-fret ebony fretboard, which has been made to the same specifications requested by MAB. It’s loaded with some top-notch hardware to deliver the powerful but articulate metal sound MAB is known for – namely two EMG active humbuckers and a matching EMG single-coil in the middle for huge versatility. We love this guitar, as we demonstrate in the full MAB1 review. Fender have managed to make subtle improvements on the 30-year-old Standard Series by introducing the new American Professional series – and it’s very impressive. The American Professional Stratocaster retains the design that made the Strat an icon, but with some new features that improve its sound and playability. These include the maple neck with the new ‘Deep C’ profile, offering a playing experience with increased comfort, as we highlight in the full review. You’ll also find three new V-Mod single-coil pickups which use different variations of alnico to specifically voice the position it sits at. Throw in improved frets, nut and an awesome case, and this is one expensive guitar that shows great value! It’s another signature model to add to the collection – this time an authentic EVH guitar based on Eddie Van Halen’s iconic Frankenstrat. Part of the brand’s Striped Series, this distinctive guitar features everything you would expect from a guitar built for a legend. It looks awesome with its red, white and black striped design and hockey stick headstock, while the hand-rubbed maple neck plays like butter. The hardware rocks. There’s a single EVH Wolfgang humbucker at the bridge that delivers a crisp, punchy tone whether clean or distorted. The Floyd Rose bridge with innovative D-Tuna function is the icing on the cake. There’s more on the EVH Striped Series 5150 in the complete review. Signature guitars are a big part of the higher-end market and we are pleased to feature this awesome Jaguar built to the specs of Nirvana icon Kurt Cobain. 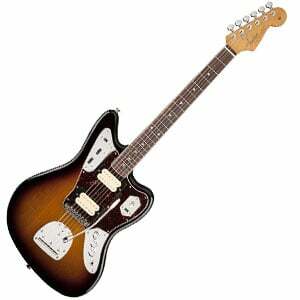 It sports classic Jag looks and playability (not to mention excellent Mexican craftsmanship), but with a few twists that make it a viable option for everything from ‘90s grunge to modern metal. The two DiMarzio humbuckers play a big part in this – as we explain in the full Kurt Cobain Jaguar review. In addition to offering great tone and versatility, Fender has also added some nice touches to boost the value and appeal to Nirvana fans, including a Cobain-etched neck plate and a lovely limited-edition Kurt Cobain book. 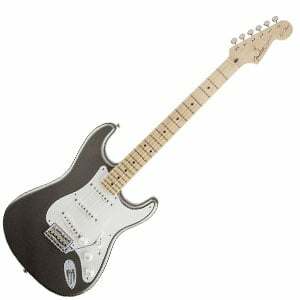 A versatile Strat that can help you sound like Slowhand! The pick of the bunch from Ibanez’s awesome high-end Prestige Series. An electric, acoustic, and synth, all in one exquisite package. An American-made guitar fit for a Telecaster master! 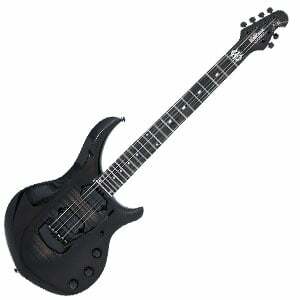 No-nonsense workhorse of a guitar built for metal. Eric Clapton – undoubtedly one of the most iconic names in the history of rock and blues guitar. So, it makes sense that his high-end Fender signature model – the Eric Clapton Stratocaster – is such a winner. While it’s pretty pricey, it shows great value due to the playability and tone on offer. This comes mainly thanks to the trio of Fender Vintage Noiseless single-coils, which are versatile enough on their own, but then throw in some advanced tone controls (a Treble Bass Expander and active mid-boost control) and you really have an instrument on another level. The design and build are also top-notch, with a solid alder body, a bolt-on soft V-shaped maple neck and 22 vintage-style frets. There’s more on this beautiful performer in the full review. New for 2019, the RG5121 is one of Ibanez’s best ever RGs – and that’s saying something considering the extensive back catalog the Japanese brand can boast. This Prestige Series RG sports a tasteful high-end design with a dark blue satin-finished top contrasting with a gorgeous unpainted mahogany on the back and sides. The sleek Super Wizard HD neck is low-profile and very fast, while the hardware makes for rock-solid tuning stability and great sustain. We discuss the electronics more in the full review of the Ibanez RG5121, yet it’s fitted with two active ceramic Fishman Fluence Modern Humbuckers, with different voicing options for great power and surprising versatility. A serious guitar for serious metalheads. The Godin LGXT is three guitars in one. You can see this in the three different output jacks; one for the magnetic picks, one for the bridge transducer, and one for the synth controller. The magnetics are Seymour Duncan Custom Humbuckers. The transducer pickup has separate volume, treble, midrange, and bass controls. There are two three-way mini switches to harness the many functions of the LGXT. The first switches works with the 13-pin output and switches between Acoustic/Electric, Acoustic/Electric/Synth, and Synth only output. The other duplicates the function of the S1/S2 switch of the Roland GK pickup. The guitar itself has a unique body design and is made from silver leaf maple. The neck is mahogany with an ebony fingerboard. While Fender’s James Burton Telecaster doesn’t guarantee you’ll sound exactly like the ‘Master of the Telecaster’, it certainly gives you the opportunity to try. This is primarily down to the trio of specially-designed single-coil pickups and the versatile controls that mean pretty much any style of music is catered for – from ZZ Top and Elvis, to James Burton himself! As we highlight in the full review of the James Burton Telecaster, this American-made guitar is a real looker. Check out its custom paisley flames paint job and the gold-plated hardware! The vintage U-shaped maple neck is also very good and gives a solid feel in the hands. 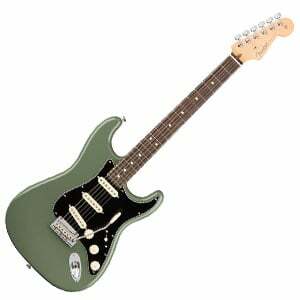 Even for the considerable price tag, this one feels like good value from Fender. We come to one of the simplest guitars on this chart – the E-II M-I from ESP. This high-end Japanese-made instrument is undoubtedly built for modern rock and metal, with an ominous all-black design and blistering tone. This powerful sound comes from the single EMG 81 active humbucker in the bridge position, delivering mix-cutting leads and tight, clear rhythm – regardless how heavy your distortion or low your tunings. Controls? That’s just as simple with one volume knob! In the main review of the ESP E-II M-I, we discuss the minimalist design and build quality, along with the neck, which gets out of your way as you play. The fixed bridge and locking tuners finish off a very reliable axe. Electric guitar perfection with the most versatile Les Paul ever. Surely one of the finest guitars ever made. The man, the myth, the legend encapsulated in one guitar. 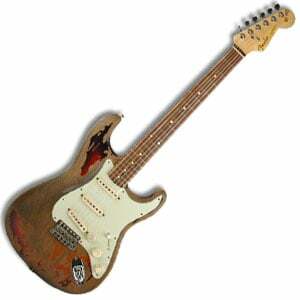 Rory Gallagher’s legendary beat up Strat recreated in all its glory! While a little controversial, we believe one of the best guitars in the world today is this Les Paul Standard from Gibson’s 2019 collection. With an AAA figured maple top and a selection of gorgeous finishes, this Les Paul features enough to keep traditional Gibson enthusiasts satisfied, but the iconic brand adds some modern upgrades to make this the most versatile Les Paul ever. This includes a wide range of tone controls, through standard knobs, push/pull functions and five dip switches. Along with an excellent asymmetrical neck, rock-solid hardware and two hardworking humbuckers, this all adds up to a hugely playable and flexible guitar built for serious guitarists. Check out our complete Les Paul Standard 2019 review for more! The epic collaboration between Ernie Ball Music Man and John Petrucci has resulted in the Majesty Monarchy, which is undoubtedly one of the best guitars in the world today. In several finish options, it sports a distinctive double-cutaway body made of African mahogany with a maple top, while it features an absolutely gorgeous 24-fret mahogany neck that ‘gets out of the way’ and really lets you play. Hardware is second-to-none, with a pair of DiMarzio Sonic Ecstasy humbuckers in addition to a piezo pickup at the bridge, all combining for a huge tonal range – from thick, tight and aggressive output to rich acoustic tones. It’s pretty much perfect – and for the huge price we’d expect nothing less. Be sure to check out the full review! The JEM7V Steve Vai Signature model is as distinctive as the guitarist who both inspired and help to design it. It has an alder body with a five piece walnut/maple neck. The fingerboard is rosewood and has the intricate Tree of Life inlay. The DiMarzio pickups are Evolutions in an HSH configuration. The humbuckers can be coil tapped through the 5-way switch giving plenty on tonal options. 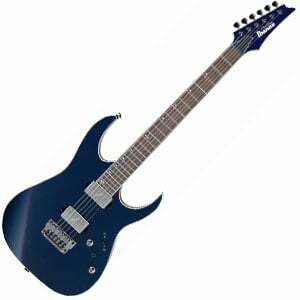 The whammy bar is Ibanez’s own Edge design that stays in tune nicely no matter how many dive bombs you do. The monkey grip is instantly recognizable and a nice bit of fun in a very serious tone machine. Another nice touch is the 21-24 frets are scalloped. This is a six-string masterpiece. Bought for less that two hundred bucks in the early 1960s, the late Rory Gallagher’s original Stratocaster saw a lot of action in its lifetime. With this replica Strat from Fender’s high-end Custom Shop, you can now own a true piece of history. Fender’s craftsmen have painstakingly replicated the wear and tear of Gallagher’s original. This includes barely any paintwork on the solid alder body, a thoroughly distressed maple neck and rosewood fretboard, and well-aged plastic. The hardware is also subject to the same attention to detail, such as adding a single Gotoh tuner among five Sperzel machine heads – as we focus on in the full review of this awesome Rory Gallagher Stratocaster. There we have it – a chart of some of the best guitars on the market, ranging from classic vintage archtops to all-out premium metal machines. Our suggestion: if you can afford any of them, go for it! This list is not for everyone, but it is still nice to dream sometimes. 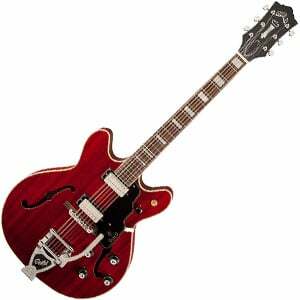 If you are looking for your first electric guitar, we can show you some good examples. There are some great options to go for under 1000 dollars, in case you want to spend a little less. Whatever your needs are we have the lists and reviews for you. Of course, this list isn’t for everyone. If you are looking for your first electric guitar, you’ve definitely come to the wrong page – instead, check out our chart of the best beginner guitars. If the prices on this page are a bit too eye watering, try our chart on the best guitars under $1000 instead. Take your time with your decision and good luck! you should put the music man majesty monarchy in there to my opinion on top of the list. As far as I know, Fender has replaced the American Standard line with the new American Professional line.